PRPS is renowned for its exquisite washes, super fabrics and its creator – Donwan Harell !. Its collections never fail to amaze and are looked forward to with great interest. Fall 2016 Collection of The PRPS Goods & Co. featuring jeans with repair patches, antique dye detailing, and 3D crinkled effect for texture. The collection is very peppy and trendy and has been designed to attract the youths at large. Denim Varsity Jacket takes cues from a classic collegiate style, updated for streetwear sensibility. 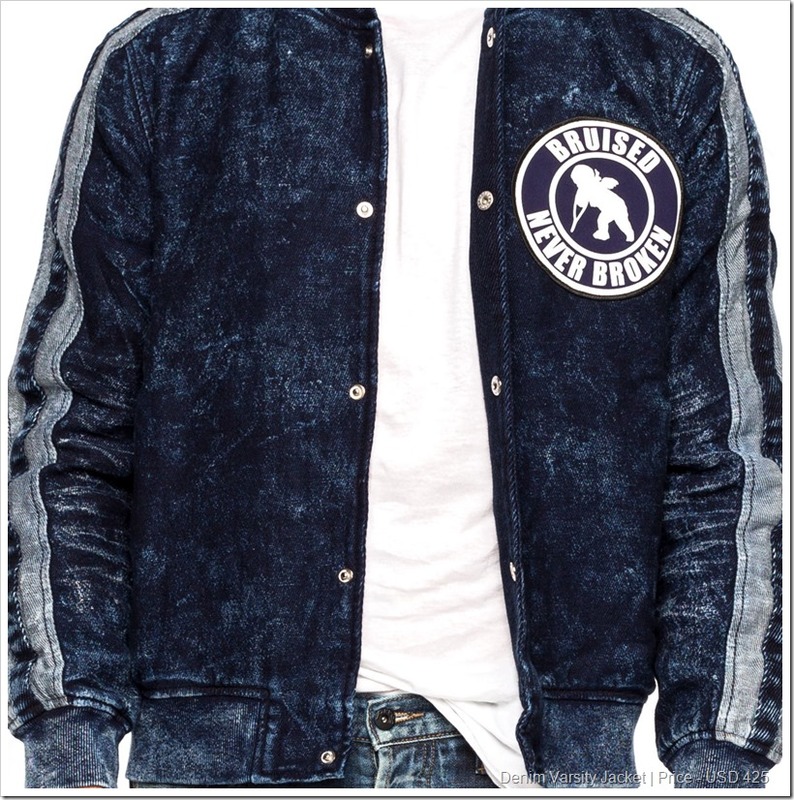 Made with finest cotton denim dyed in classic deep indigo, the jacket is detailed on the inside with a plaid lining. On the outer, button and zip fasteners, textured sleeves and functional pockets seal the deal. 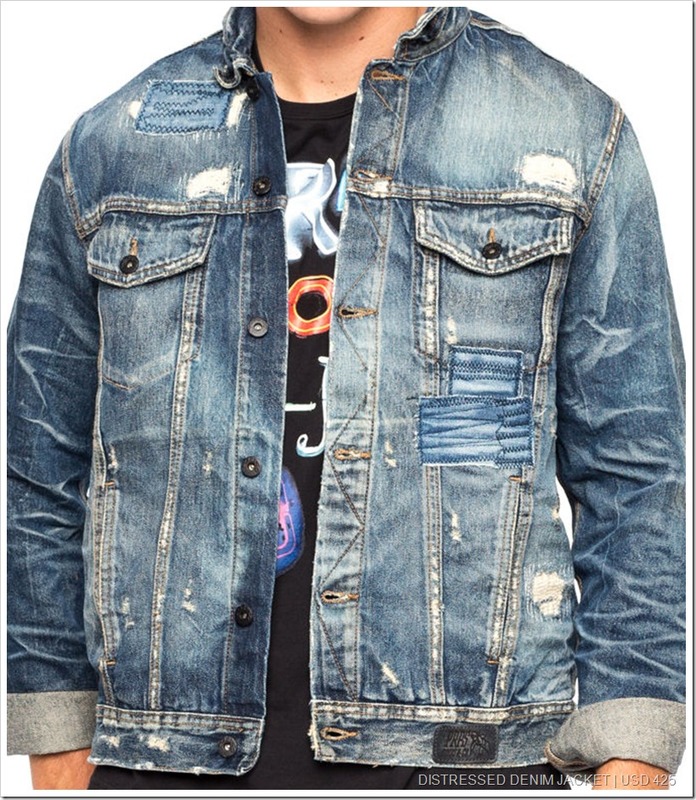 Another denim jacket in the bucket is – DISTRESSED DENIM JACKET . Using unconventional treatments, a traditional denim jacket with button fasteners is transformed to show a faded, worn in look. 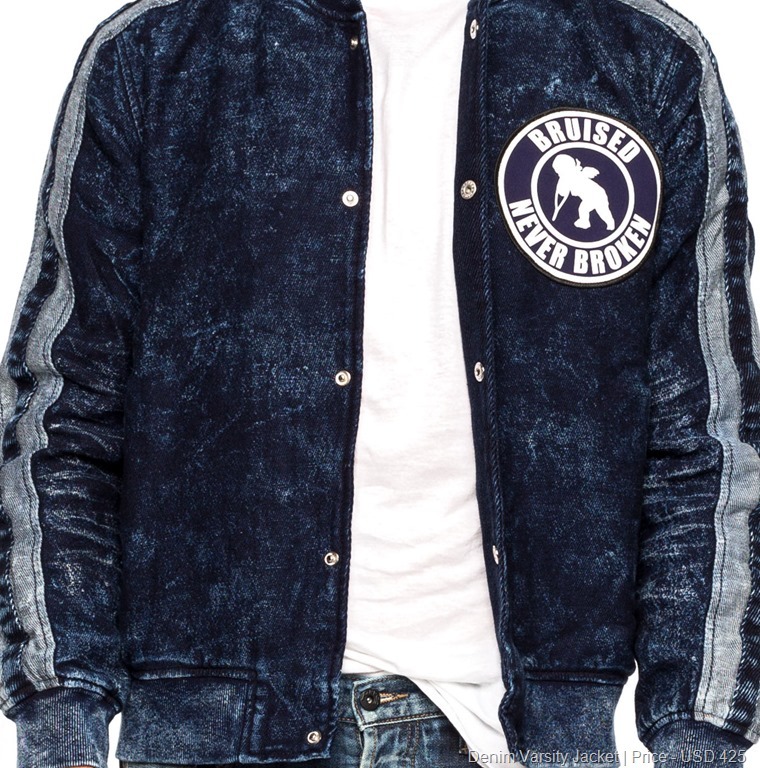 Of course, the patches at bring out the Vintage and a kind of Boro look . Distressed Cargo Chinos is a cotton denim cargo pant with a seamed straight leg, featuring cargo-style pockets on both sides. 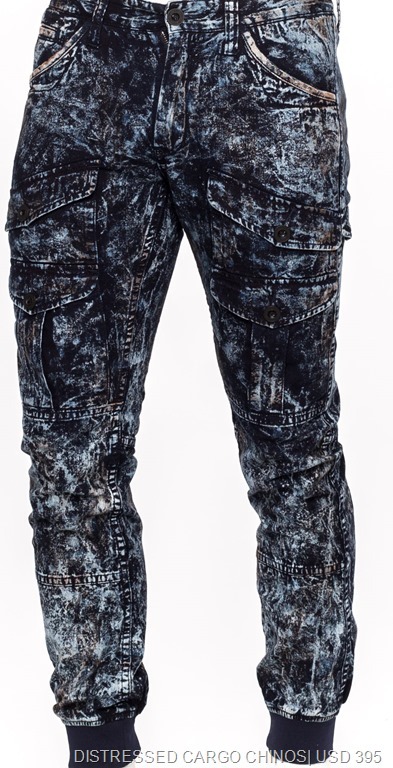 This chino pant is finished with signature distress marks. Showing off with repair techniques, the Demon Lan Jeans feature heavy repair and destroyed techniques on a natural indigo dyed distressed denim, detailed with black pigment spray. Demon fit is medium rise and slim in 11.5oz . Demon-Zip , A white cotton denim features signature denim applique repair patches of PRPS on both pant legs. This 5 pocket style is detailed with a logo patch at the back and a lot of indigo patches ! 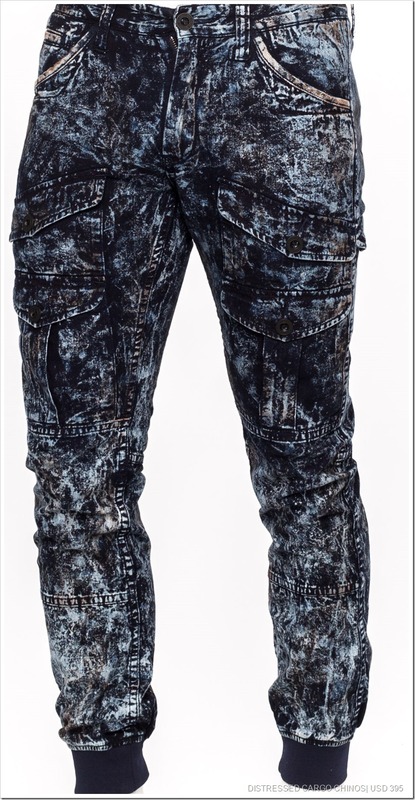 Barracuda Pixel Jeans are cotton denim jeans, bleached and heavy washed with blue leather patchwork. This 5 pocket style is detailed with logo patch at the back and a button fly closure. Demon –Rom feature signature construction of PRPS and treated with a heavy wash. The 5 pocket denim style is detailed with a logo patch and a button fly closure. 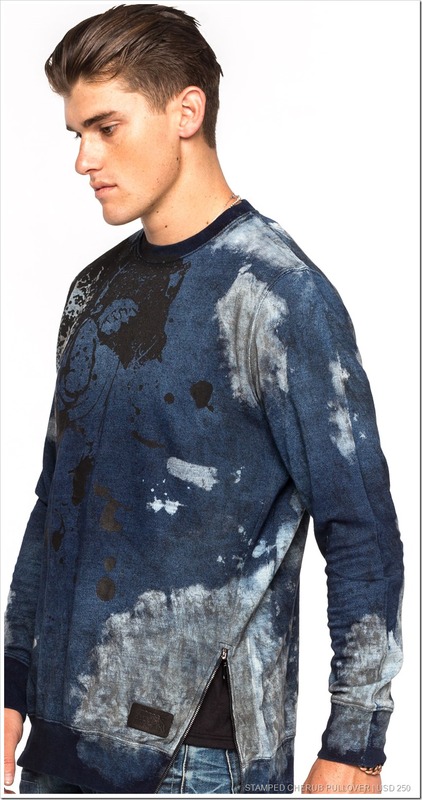 Stamped Cherub Pullover with a tritone marble dye, with blue, black and grey blending allover. This straight-line crewneck fleece pullover is detailed with with zipped vents and a stamped cherub print. Made with 84% cotton and 16% polyester . Indigo button down shirt – the indigo dyed woven shirts to pair with any of the jeans ! 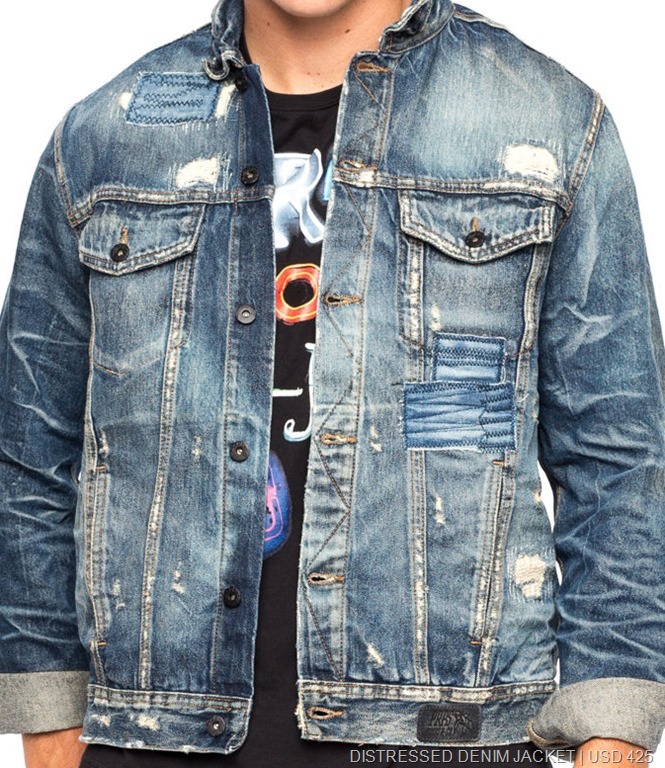 Donwan Harrell, the founder of PRPS, is the first American designer to bring Japanese denim jeans to the United States. Established in 2002, Donwan started the rise of the Japanese luxury denim jeans business in America. He doesn’t simply just make washed & selvedge jeans, Donwan constantly researches, selects premium denim and uses revolutionary washes. Prps has 3 collections that are shaping the men’s fashion industry: Prps Noir, Prps and Prps Goods & Co. Every characteristic of every garment produced by Prps is representative of Donwan’s penchant for meticulousness. No detail, no matter how minute, goes overlooked; creating the best jeans to date. 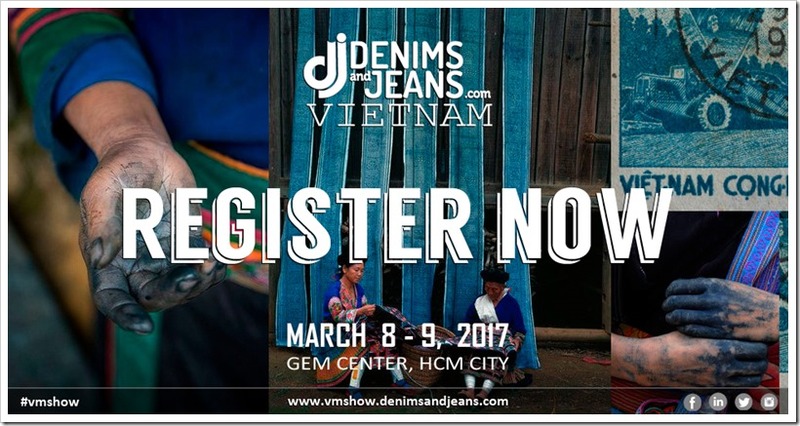 The second edition of Denimsandjeans Vietnam show is going to be held on March 8-9 at Ho Chi Minh City . This is will be a great opportunity for the sourcing as Vietnam is one of the fastest growing apparel destination in the world. So , to visit the show ,please register here.